Cave of Sybilla in Cumae. This sanctuary, one of the most famous in antiquity, have come to the light 60 years ago as the result of excavations. It consists of a long passage with several galleries going aside; the widest of them lead into the large restangular room, which was probably the residence of Sybilla. 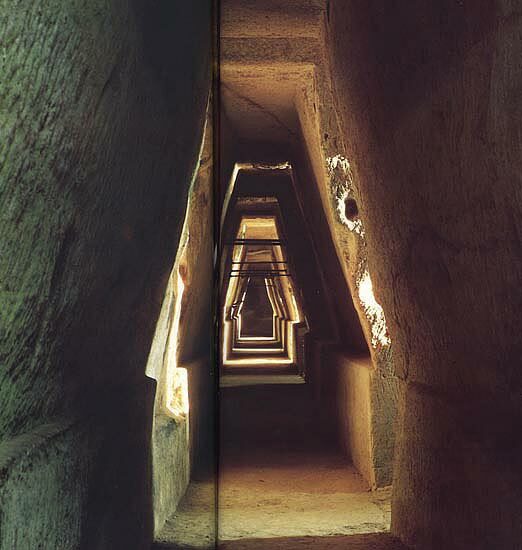 © Photo, text: GIOVANNI D’ANNA “LEGGENDE E TRADIZIONI DELL’ANTICA ROMA”, ARCHEO, N. 31, p. 50—51.